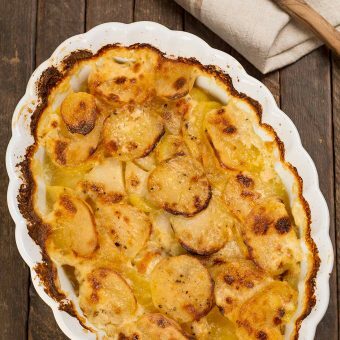 Find an amazing variety of ways to prepare potatoes in our recipe collection, including roasted potatoes, mashed potatoes, scalloped potatoes, baked potatoes, potato salads, sweet potatoes, potato pancakes and more. 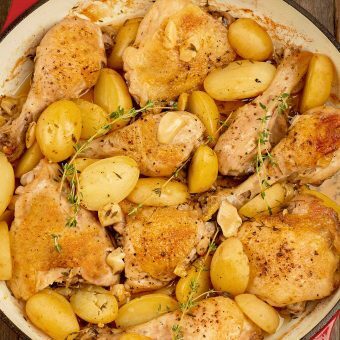 Mellow garlic and fresh thyme flavor this simple and satisfying roasted chicken and potato dish made with bone-in thighs and drumsticks. 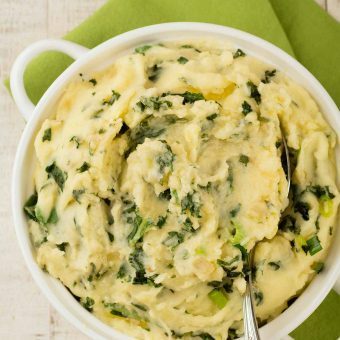 Colcannon is a classic Irish side dish that combines creamy mashed potatoes with sautéed greens. 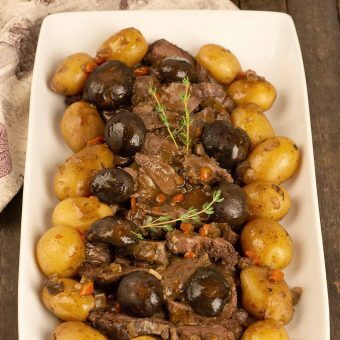 We’ve got two versions here for you to choose from – one made with kale, the other with leeks. 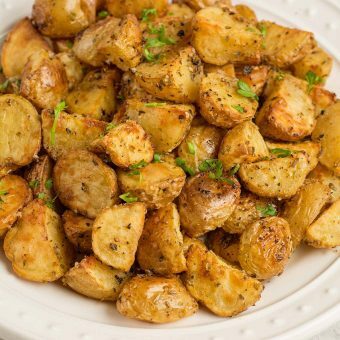 A flavorful side dish of twice-cooked new potatoes combined with a special version of our homemade buttermilk ranch dressing. 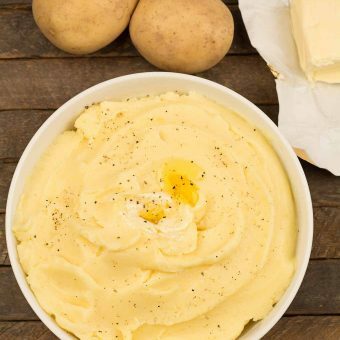 Our favorite easy recipe for making creamy, flavorful mashed potatoes and helpful hints for getting consistently great results every time. 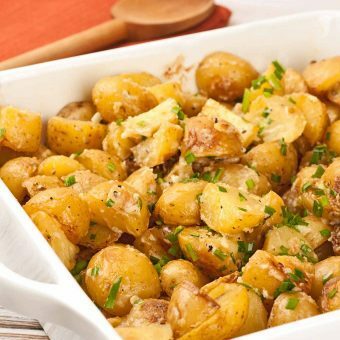 These savory oven-roasted potatoes are quick to prepare and complement a variety of simple main dishes like grilled steaks and chops, oven-baked fish and roast chicken or pork.